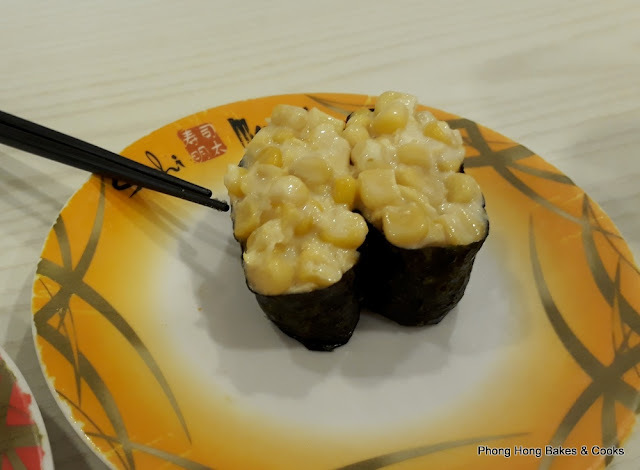 At first I thought of picking something up from the McDonald's drive through near home but then I suddenly remembered Sushi Mentai@Taman Megah. We often pass by this outlet when we go to the Pearl Pork outlet (they are just next to each other, separated by a side lane) and we have often said that we would pay a visit. So this was our chance. By the time we got there, it was after 7:30pm and the place was bustling but we got ourselves a table. Ah! Conveyor belts! The advantage of this is that you can just grab a plate immediately and eat. I mean, we were so hungry. My partner immediately took his favorite edamame and I took a few plates of whatever looked interesting. This one was just so so. 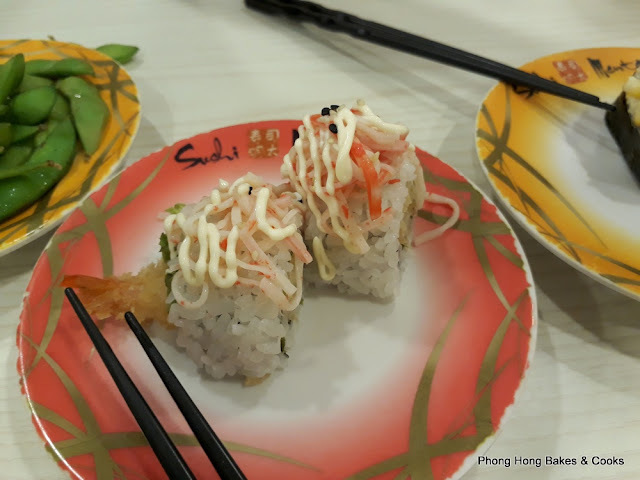 Alamak, now only I noticed there were crab sticks on the sushi. I do not like crab sticks and I avoid them like the plague. This one, my turn, bad eyesight. I do not like chicken floss or any kind of meat floss for that matter. In all honesty, the items on the conveyor belt were not that exciting. So the next best option was the menu which was not bad. 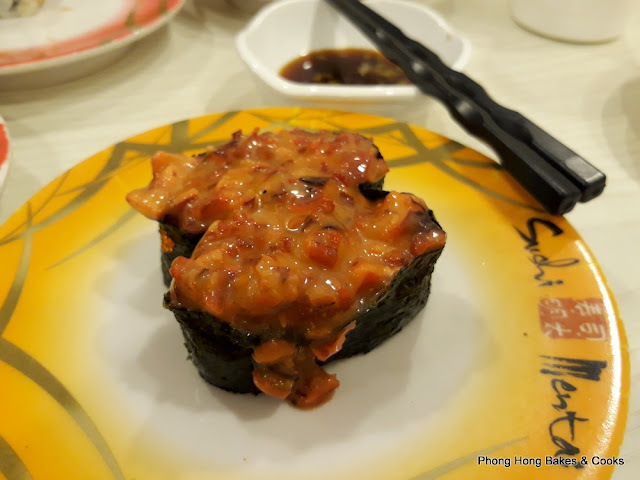 This is the Spider Maki and my partner commented that the "workmanship" is quite "rough". I'll have to agree but we really can't expect much here. Looking at the menu, I would say that the prices are really cheap for a Japanese food outlet. My favorite for the evening has to be this. Upon checking the menu online and with reference to Kris' review of the Pandan Indah outlet, I found out that the sushi on yellow plates cost RM1.80 while the red ones cost RM2.80. 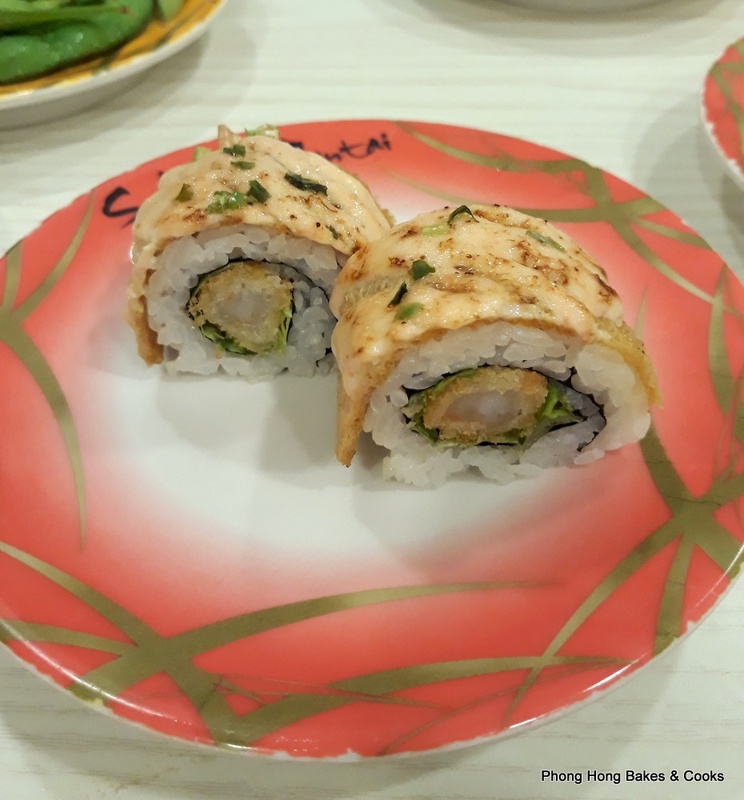 I cannot remember how much the maki that we ordered cost but I remember that they were very affordable. Would I come back to Sushi Mentai? Sure thing! 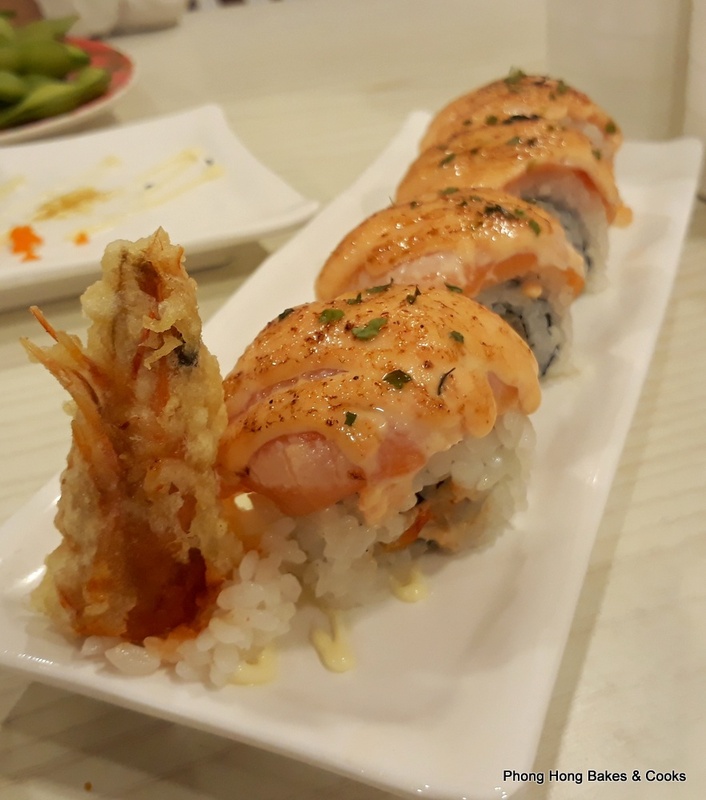 It's easy on the pocket, I know which sushi item to attack and I definitely want to eat the Salmon Mentai Dragon Maki again. So good. I thought Sushi Mentai tapao/bungkus/balik kampung already. The Pandan Indah outlet seems to be gone, the one in Penang turned into Sushi Edo (another cheapo joint)... Hmm... so they're still around... I only like their items with mentai on, no mentai no likey here heheheheeee..
Gong Xi Fa Chai to you and family!!! They are still very much alive and I noted another one in SS2. Yeah, only the ones with mentai taste good. Gong Xi Fa Cai to you and your family too! 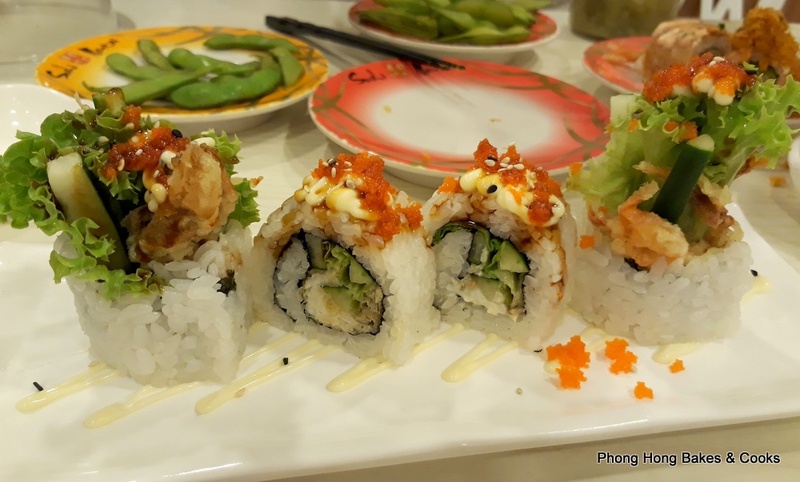 They are the lowest priced sushi in kl I believe. Good that you found some dishes you like there. Gong Xi Fa Cai! I love the prices hee..hee... Gong Xi Fa Cai! Ya hor? Not really anything exciting. 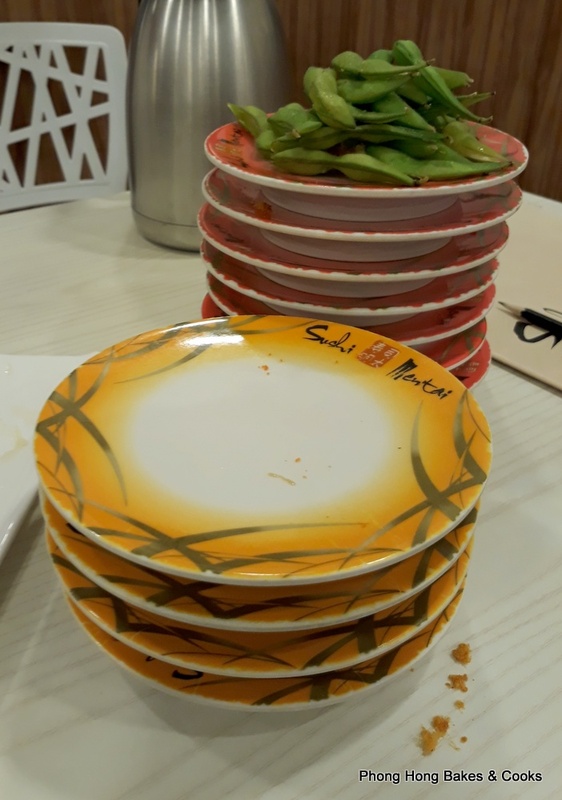 The downside of the kaiten-sushi is that I tend to overeat. LOL! Yes, I agree that the 'workmanship' here is very rough...the rice usually falls off your chopstick when you pick it up. That's to be expected based on the cheap prices. Like RG, I also stick to those with mentai (after all, this is Sushi Mentai...hahaha! 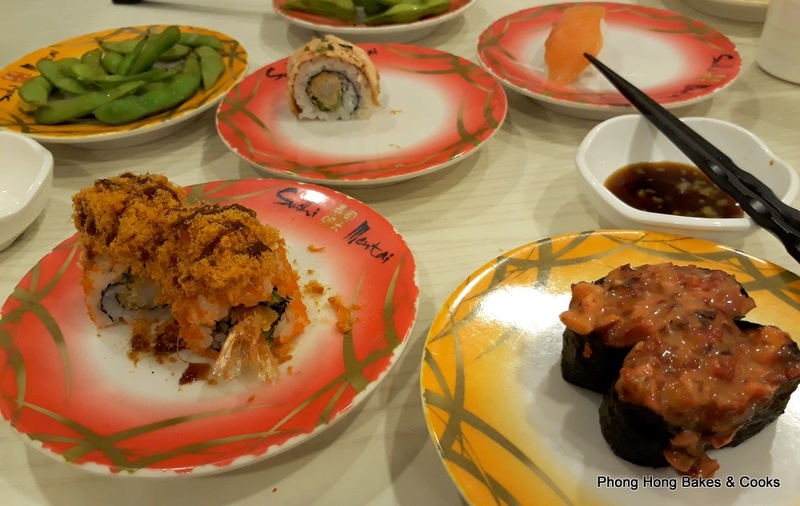 ), particularly salmon and ebi mentai. 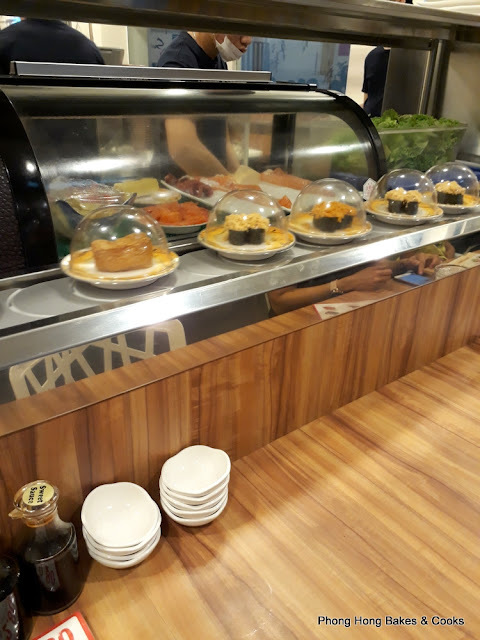 If and when you do return, know that what you don't see on the conveyor belt, you can always put in an order (check out the menu on what they have). And you don't always have to take from the conveyor belt (if it's late, there'll be very little going round to prevent wastage). Psst, let you in on a secret, even if it's available on the conveyor belt, I like to put in all my orders at once through the chit. That way they usually (though not all the time) make fresh ones as they try to put all your sushi on one plate (or a few plates if you have many orders) and stack the plates underneath. 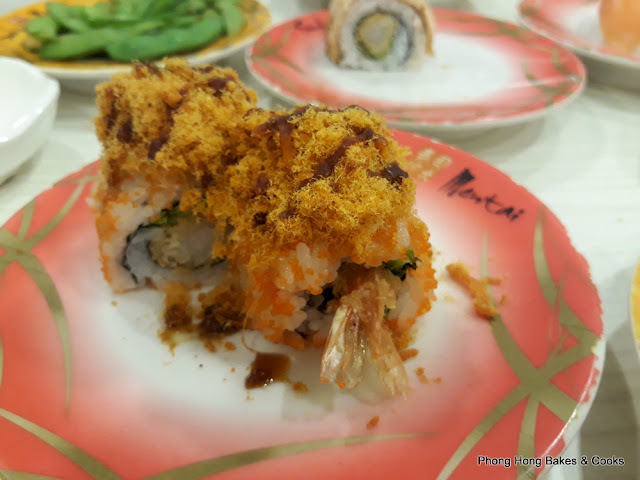 This is a place to eat cheap...and fast sushi...period (and for the info of RG, the Pandan Indah one is still alive, kicking and thriving). This is not the cheapest sushi though as I have another one in Pandan Indah that's even cheaper (RM1.70 & RM2.70)! O_o But this is not a franchise, so you can't get it elsewhere (though the owner did tell me he opened another branch, can't remember where). The Salmon Mentai Dragon Maki looks good. Good food and good price. It's delicious at a very nice price hee..hee. Oh dear! They really must work on their presentation. Ours here look a lot better, not so messy. Not a fan of meat floss either but ok with it, not those imitation crab sticks - will definitely not pick any with those. For this cheap one, I know now to choose only those with mentai. 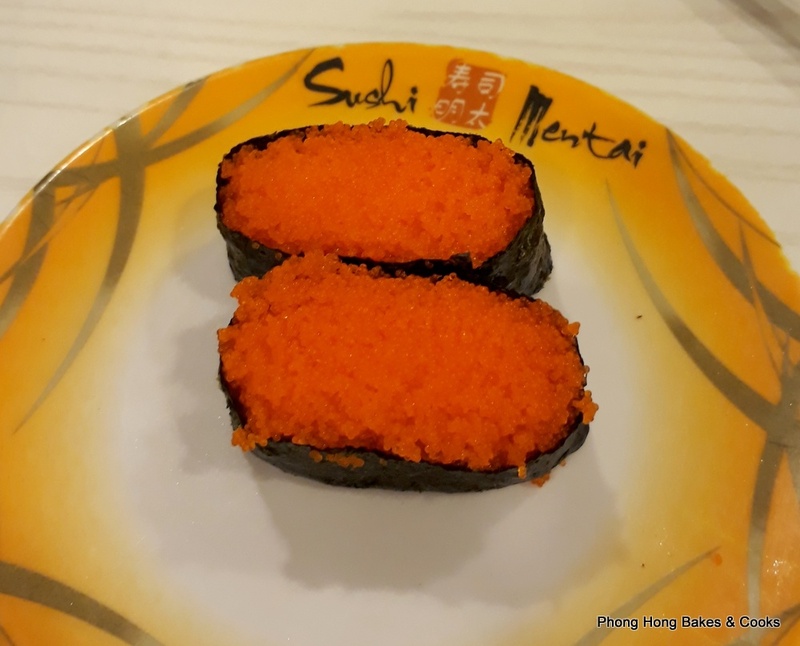 I haven't try the new Sushi Mentai here as a bit too far from my place. Heard some commented it wasn't good. At the very friendly prices they charge, can't expect much. But if you go there, focus on the mentai. Looks good except for the sloppiness but can't argue for that price.....Happy CNY to you and all at home! 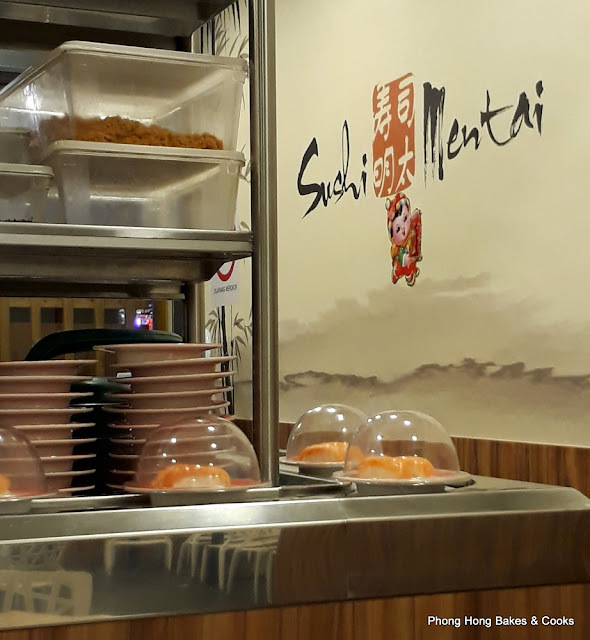 Sushi Mentai definitely a good place for affordable Japanese food but I just discovered a new place at Desa Park City (Arkadia to be precise) with very competitive price Japanese food too! That's great! Now we can enjoy sushi more often but with lower expectations.